ATI Studio’s app MondlyVR (a language learning app with voice recognition) is now available for on the Google Daydream platform. MondlyVR is designed to help the students wanting to speak a new language. This app goes past the traditional way of learning a new language from books and flashcards. MondlyVR will use an immersive environment where the users can speak and interact. 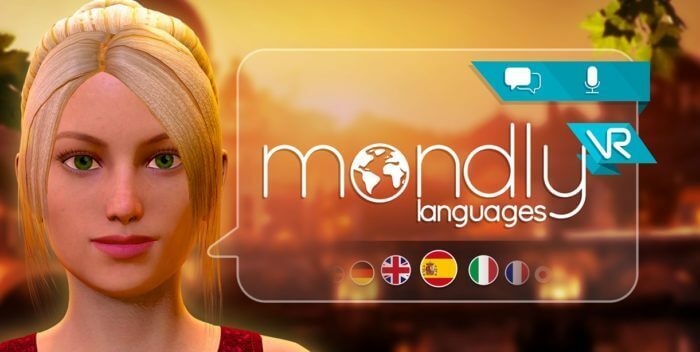 Currently, MondlyVR can help you to learn 30 different languages ranging from the most common language like English, SPANISH, Japanese, Farsi to the less common languages like Hungarian. Not only this there is also a different level of learning language which the users can choose depending on how in how much detail he or she wants to learn the new language. MondlyVR was available of GearVR before but now this app is also available to Daydream users. According to few people, the speech recognition works great. Users can always see how the app interprets your vocalizations at the center of the screen. MondlyVR could be the perfect way to get started with learning a new language. The Daydream version of the app will cost you $4.99.